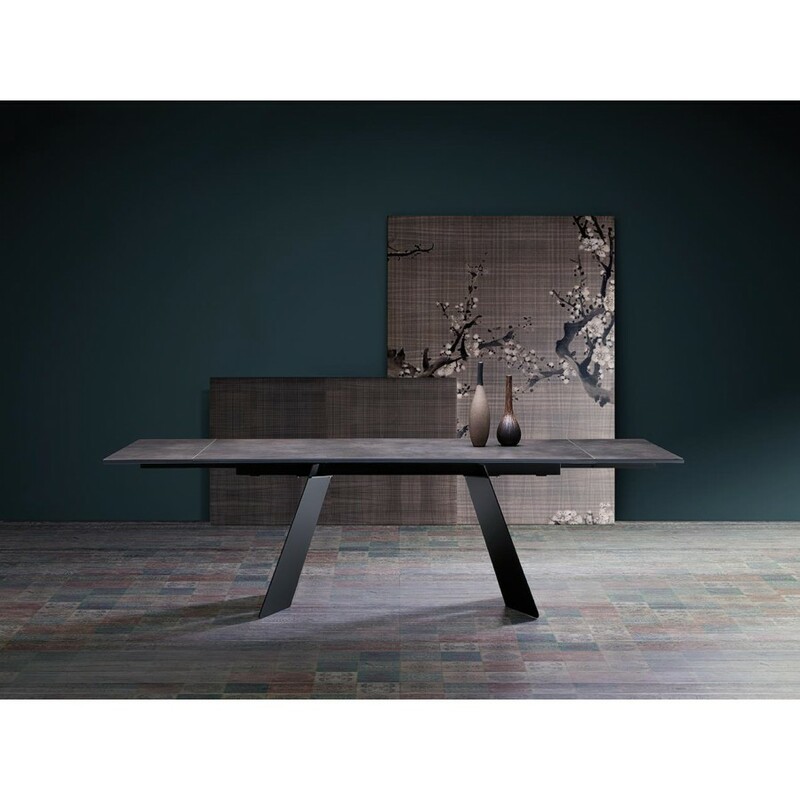 On the important metal frame, a rectangular top is available in both white satin glass and veneered wood, with an original porcelain stoneware variant . 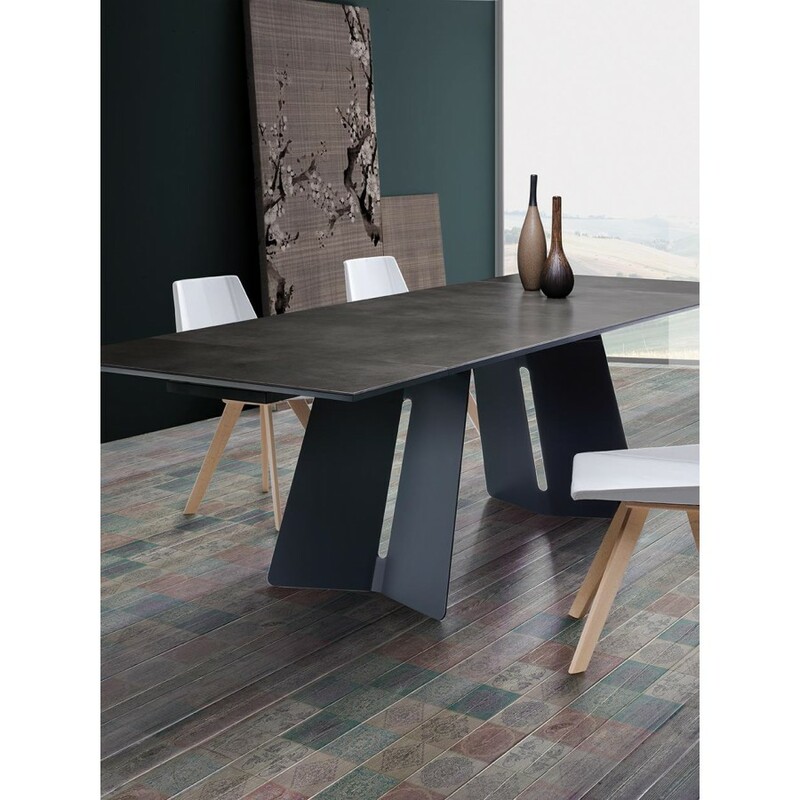 Koral of Natisa is a modern and clean table that is comfortably extensible. It is equipped with a guide for the two extensions: with the arms movements, the two extensions rise and then fall down perfectly beneath the head of the main floor. 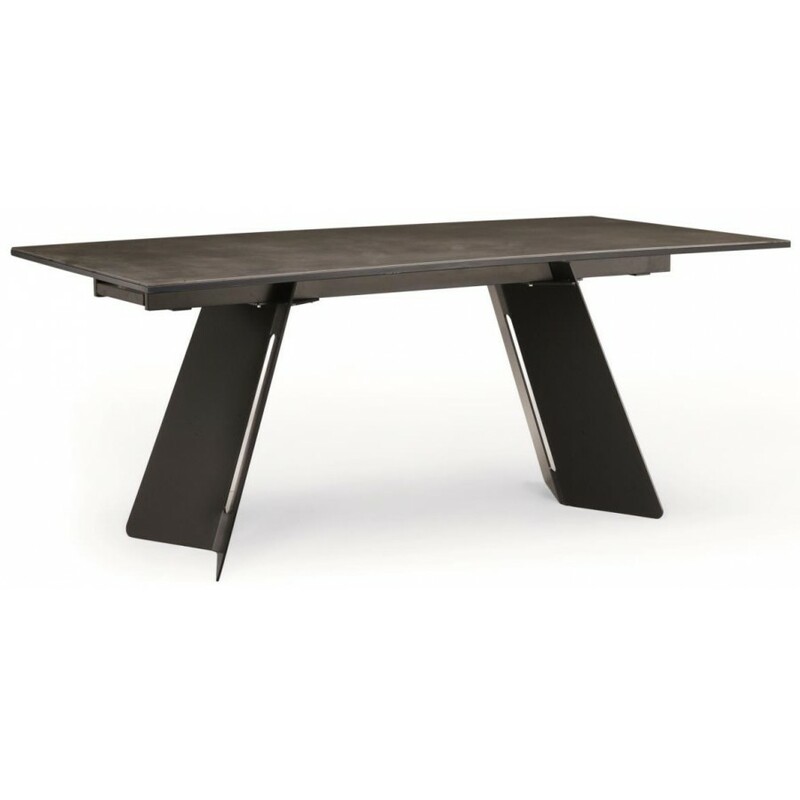 Despite being impressive, Koral does not look cumbersome but maintains a light line, thanks in particular to the design of the base that has the center of the two metal legs, two vertically developed holes that give breath to the structure.